So given that I reviewed the cotton Omni 360 in November and the Omni 360 Cool Air Mesh is more or less functionally the same for a full review head over to that page to get all the details as this review will be focused on how the Omni 360 Cool Air Mesh is different to the cotton Omni 360. 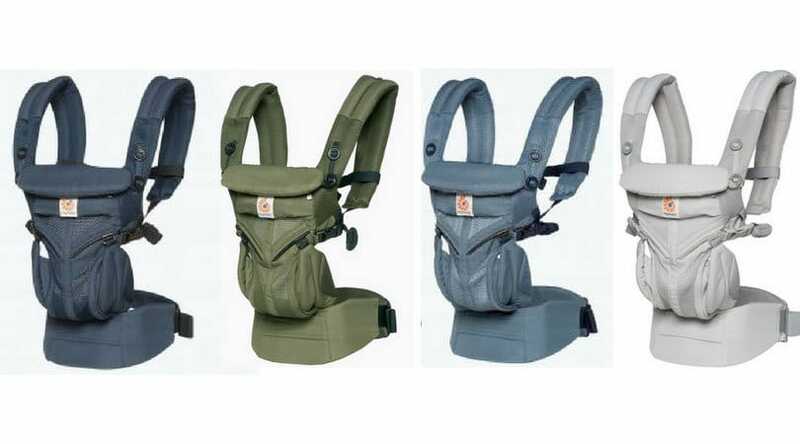 Though just briefly the Ergobaby Omni 360 Cool Air Mesh is a four position carrier. It offers inward facing on the front, hip and back, as well as forward facing on the front. It’s suitable for newborns from 3.2kgs all the up to 20kg toddlers! The Omni 360 Cool Air Mesh does not require an infant insert. So it’s easier to use and gradually grows with your baby. Also if heat is your number one concern – without the infant insert the Omni 360 Cool Air Mesh is going to be lighter and cooler than the original Ergobaby carriers for carrying your newborn. Omni 360 Cool Air Mesh VS the Cotton Omni 360? Obviously – the fabric is different. The Omni 360 Cool Air Mesh offers different colour options as well. The Omni 360 Cool Air Mesh features Ergobaby’s cool mesh panels. So it’s lighter and more breathable, making it ideal for warmer climates and active parents. That said the Cotton Omni 360 is made of cotton, which is a natural fibre, so it’s also light and breathable. Just the cool mesh version is more so. There are also a couple very small, but handy, adaptations with the Omni 360 Cool Air Mesh. Firstly, how the carrier goes from parent facing to forward facing is much easier. Previous 360 models had a buttons system. Where you simply switch the buttons in the front panel from the black buttons for inward facing to the grey buttons for forward facing. Easy. Which seems really straight forward once you know what button is for what function, but from observation (I always check out people’s carrier’s whenever I’m out) it’s just something that parents aren’t quite getting their head around. So rather than buttons, now the Omni 360 Cool Air Mesh has sliders. Which I think is just much more intuitive. The highest position on the slider very obviously creates a rounded seat, perfect for baby’s bottom to sit into. The lowest position of the slider narrows the panel creating space for baby’s legs to go through. Which is how the buttons worked also, but I think the slider is more prominent, less fiddly, and just more obvious that is how it works. Okay, teeny tiny little feature, but the hood on the Omni 360 Cool Air Mesh tucks away into a zippable pocket. So there’s no way it’ll slip out and get in the way while you’re buckling up the carrier. The cotton Omni 360 the hood is in the pocket, but because there’s no closure. And I’ve found it sometimes did slip out and get in the way a little bit. Which I think is especially handy when learning how to use the carrier. Just having less “bits” floating around to fiddle with. So small. But quite handy. Ultimately, even though those little extra features are great, the big difference is the fabric. 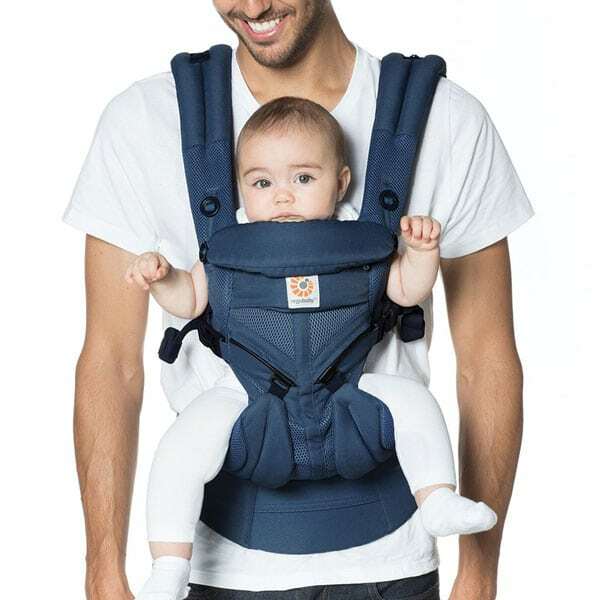 If you’re undecided which of the Omni 360 carrier is right for you I’d suggest get into a baby store to have a feel of both carriers, because I think it’ll come down to which fabric you prefer. Personally, I prefer the feel of the cotton, but I know a lot of parents have been eagerly waiting for the cool mesh fabric to be available. So it comes down to your personal preference. Full disclosure: I do work with Ergobaby in Australia, however I work for them because I’m genuinely passionate about the brand. And as always my thoughts and words are entirely my own. 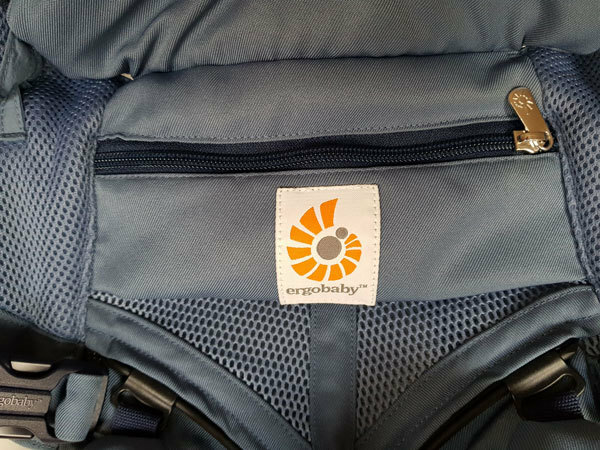 I’m so excited to be able to give an Ergobaby Omni 360 Cool Air Mesh to one lucky reader! This giveaway is only available in Australia. Good luck!!! Oh man, this looks great!! I wish there were more babies on the horizon ?? How amazing! Makes me want another little one too. The ergo baby saved us when we had bub. The carrier literally gave us sanity! Baby carriers just get better and better – good times for new parents as they have always been a godsend. My ergo was a total lifesaver with baby number 2! amazing products! This looks amazing. There was nothing like this when my babies were little. I don’t know what I’d do without my Ergo! I still use an “old school” one that I bought for my 1st 5 years ago. Definitely entering because I love some of the tweaks they’ve made since then. I totally could have done with this when mine were little! Baby carriers were so useful when mine were younger. Great prize! Entered (I think ?) Looks awesome. This carrier looks amazing! Entered and ???? What is your personal recommendation between the cotton and the mesh? Personally I prefer the feel of the cotton fabric. It’s softer and I’m not so bothered by the heat factor – I’d just dress baby is lighter clothes. But I know lots of people prefer the mesh because it’s cooler and has the sliders that are less fiddly than the buttons on the cottpn. So it comes down to what you think you’ll prefer.